Clink II is a microprocessor-based automation system with individual control units for each motor and feeder circuit within a Capitole 40 switchboard. It provides plant managers with comprehensive data and opportunities to optimize plant performance, efficiency and productivity. 1. The Starter Control Units execute protection, monitoring and control functions for motors. 2. The Feeder Control Units execute protection monitoring and control functions for feeders. 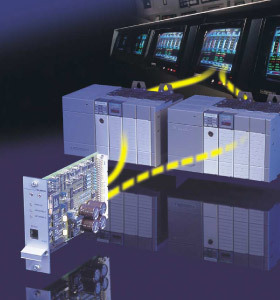 Data communication between motor and higher level systems (such as DCS, SCADA, etc.) by application of modern microprocessor technology.